The filtering materials can be either natural - gravel, sand, clay, active carbon, peat, crushed oyster shells, rocks - or artificial - PVC, foam, Perlon, and various plastic materials. Different materials correspond to specific functions. For a coarse filtration, use gravel, rocks, sand, clay, or large pieces of PVC. A fine filtration requires fine sand, foam, or Perlon; a biological filtration, sand, foam, cotton, or clay. 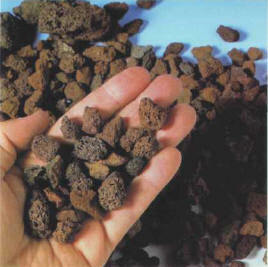 Peat, active carbon, crushed oyster shells, or calcareous rocks are effective materials for exerting a chemical action. With the exception of the last category, a filtering material must be chemically neutral, i.e. it must not modify the main characteristics of the water (pH, hardness, or density). All the filtering media of variable volume (gravel, sand, earth, clay) are easier to handle if they are placed in a fine-meshed pouch (made from a net curtain or tights, for example). These are used as pre-filtration media to trap the largest pieces of debris, especially in the external filters. They are being increasingly replaced by artificial material, but fairly thick sand (grains of 2-3 mm) are still required in freshwater undergravel filters. Lava rocks provide a good bacterial support. These rocks, broken into pieces of various sizes, play a double role: mechanical, for suspended matter, and biological.The form and surface of the rocks encourage the presence of bacteria, as well as good water circulation of water. These play the same role, but also release moderate amounts of calcium carbonate into the water going through them. They are therefore used to maintain a high degree of hardness in some types of tanks, such as regional East African aquariums, for instance. They must be pounded and crushed, and then rinsed carefully, in order to eliminate the fine particles produced. Clay, in the form of balls of a few mm to 1 cm in diameter, provides a good bacterial support. It is rarely used on its own, but rather as a complement to another material, to ensure pre-filtration. Balls of clay can be used for pre-filtration. 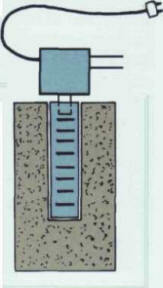 Peat (see page 16) is placed in a filter to acidify the water passing through it; therefore, its main role is not filtration, although it can trap some particles. 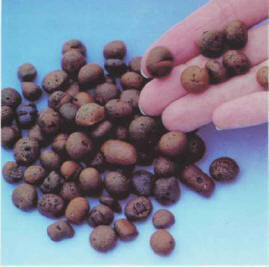 It is used in fresh water to obtain the low pH required to keep and reproduce certain species. Be aware that peat turns water an amber yellow color. It is, therefore, not at all advisable to apply peat designed for horticultural use, as it contains substances that can be dangerous in an aquarium. Suitable peat is commercially available, although you will have to proceed by trial and error and do some tests before finding the quantity needed to maintain a specific pH. Active carbon is obtained by calcining (burning) vegetable matter under very precise conditions. 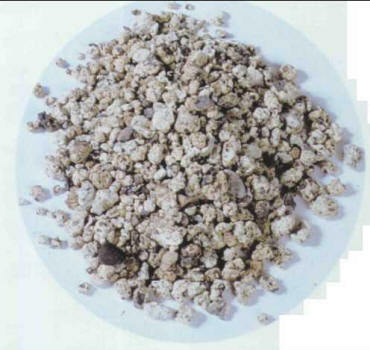 It is a very porous material with properties useful to fishkeepers. It fixes organic coloring substances, which makes it possible to obtain really clear water. It also fixes some medicines, especially those based on colorants. In this case, a filter is only used to eliminate a medicine, once the treatment has been completed. What is more, active carbon traps smells. Its main deficiency is that it loses these distinguishing properties quite quickly. It offers a good support for bacteria, but no more so than other more practical filtering media. To sum up, active carbon is a material with very specific applications, to be used only in fresh water and not in sea water, and it must be rinsed in warm water before use. Perlon retains fine particles. It is an easy material to use. This artificial material comes in the form of intertwined filaments. 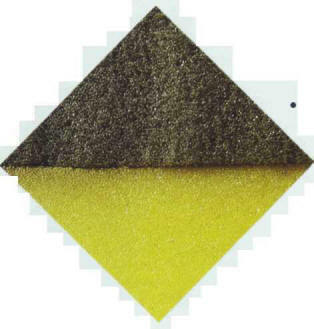 Be careful: it must not be confused with glass wool, which is highly unsuitable for aquariums, as it can release tiny fragments into the water. 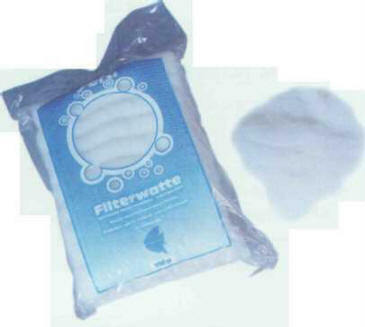 It is generally used in association with foam as the first filtering material, especially so in box and wet-dry filters. There is a very w/de range of filtering materials; often the most desirable is the one offering the largest surface area for trapping bacteria. This synthetic polyester foam has open pores, like that found in mattresses or cushions. This material is very fashionable in the aquarium trade these days and it seems to offer nothing but advantages: it is light, neutral, easy to handle and cut, as well as being cheap. Furthermore, it provides a highly effective bacterial support, and is also excellent for mechanical filtration. The foam generally used has a density of 20 kg/m-\ and its porosity is ideal both for retaining suspended particles and for allowing bacteria to develop. Generally speaking, the experience of a great many aquarists and public aquariums has shown that a thickness of 8 cm, divided into two more or less equal parts for easier upkeep, is usually sufficient for filtration.lt is possible to find some commercially available, or else home-made, filters entirely composed of foam - small internal filters or external filters, both box and wet-dry - and these are also completely satisfactory. Different types of plastic material, such as PVC, can be used to make the filtration or pre-filtration elements: small pieces of pipe around 1 cm in diameter, balls, cubes with an openwork design, etc. The list is endless, and contains not only items found in the aquarium trade but also recycled domestic materials. When several filtering materials are found in the same filter, the water must successively pass through materials decreasing in grain size. The coarsest materials serve as a pre-filter for large pieces of debris, while the others retain the finer particles. All these filtering media enhance the development of bacterial colonies that convert nitrogenous products, with pride of place being taken by foam and clay balls. A pump, a PVC pipe with slits down the sides, and a block of foam make up a filter that can be quickly put into operation. The filtering media p r o g r e s s i v e l y accumulate particles, at a rate depending on granule size, the speed at which the water flows through them and finally the amount of suspended matter it contains. When they are saturated, they can be cleaned with warm tap water, without any detergent or soap, until clear rinsing water is hence obtained. Aquarists who have several tanks wash several pieces of foam together in a washing machine, though obviously without any washing powder. It is unfortunate that cleaning eliminates the large majority, or indeed all, of the useful bacteria. The filter will therefore be effective for particles but will no longer be able to play any biological role. To alleviate this problem, you can clean only half the filtering media each time: the bacteria living in the unwashed part will be sufficient to purify the water and will quickly recolonize the other half. If you are using two filters, you can, of course, clean one at a time. If the aquarium has to remain empty, in the meantime the filtering media can be put into the filter of another aquarium, and in this way they will still collect bacteria and can quickly be put back into service. It is vital not to interrupt the nitrogen cycle in a biological filter, as this may give rise to toxic compounds. 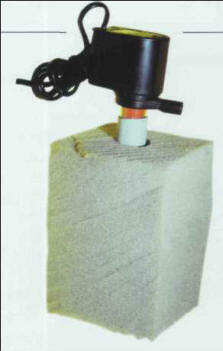 The sucking nozzle of an electric pump is extended with a pipe - PVC or semi-rigid plastic, such as a garden hose - with a series of slits down the sides. This is inserted into a block of foam with the center already cut out with a knife or blade. The water has to pass through the foam, before being taken in through the slit pipe and returned to the aquarium. This quick and easy filter works well when improvisation is called for to keep an aquarium in operation. ЧЭНЬ ЮНЬ (1905-95) , председатель Центральной комиссии советников КП Китая (КПК), первый секретарь Центральной комиссии по проверке дисциплины КП Китая в 1978-87. В 1949-54 заместитель премьера Государственного административного совета КНР, в 1954-1972 и 1979-80 заместитель премьера Государственного совета КНР.